Prawns with saffron and polenta at TRIS in The Woodlands. Photo courtesy of TRIS. Wine and delicious food followed by an evening out in Houston with a group of friends — what more could you want for the perfect excursion? How about easy group transportation that chauffeurs you around the entire time? National Charter Bus Houston specializes in streamlined charter bus rentals for the ultimate group outing in Houston at an affordable price. They work with your budget to find you the right bus transportation option for your special event, whether it be a private excursion, wedding, or corporate function. It’s important to find a restaurant that accommodates your group for the most enjoyable experience. 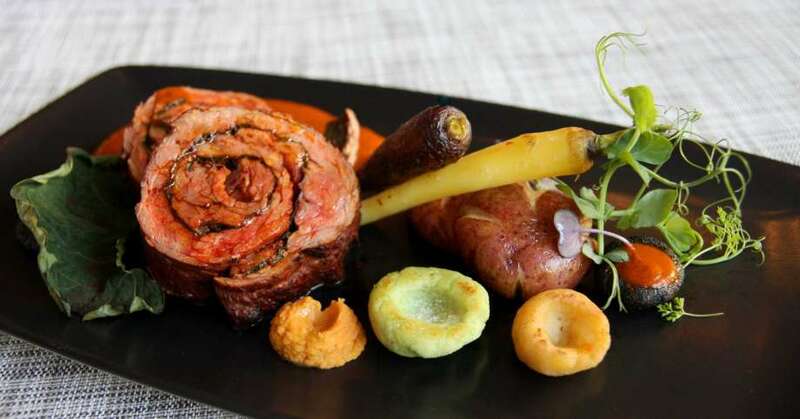 Some Houston restaurants offer private dining rooms for an intimate, memorable atmosphere. To ensure you have a stress-free process, make sure to call ahead and reserve your room, as well as have your night’s itinerary planned and ready to go for your personal driver. 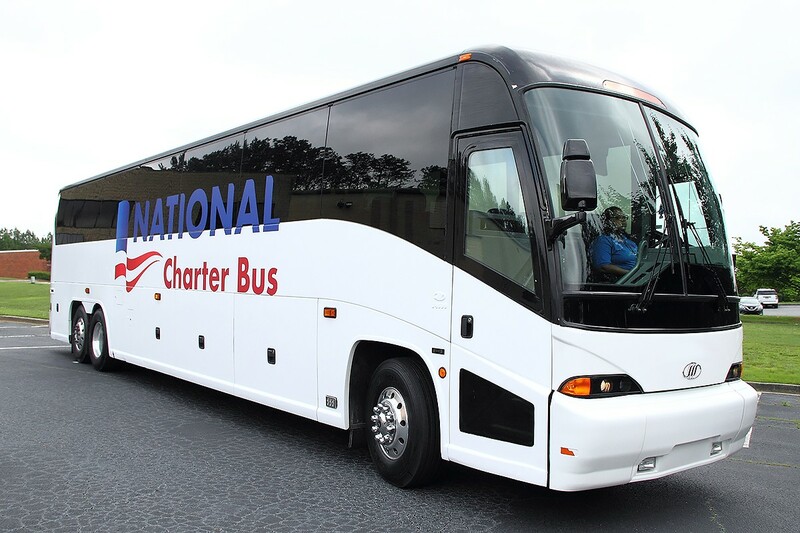 National Charter Bus Houston has full-size buses as well as mini-buses and party buses for smaller groups. Call (713) 234-6591 for pricing! Photo courtesy of National Charter Bus Houston. Planning to attend a concert at the Cynthia Mitchell Woods Pavilion in The Woodlands? Have your private minibus rental drop you off at TRIS before the event for delectable appetizers, fine wines, and savory entrees. Or, if you’re attending a special event at the Woodlands Resort & Conference Center, stop and dine at Fielding’s Wood Grill or Robard’s first. Call ahead to reserve your seats, and your bus rental will take care of all the transportation logistics. Heading to the George R. Brown Convention Center? Let National Charter Bus Houston take care of the parking hassles for your group so you can focus on your event. Your driver can first stop at Damian’s, Brennan’s of Houston, or Xochi for a great meal before dropping everyone off right at the exhibition hall entrance. Barbacoa de Res de Zaachila, or braised skirt steak with masa dumplings and vegetables, at Xochi. Photo courtesy of Xochi. 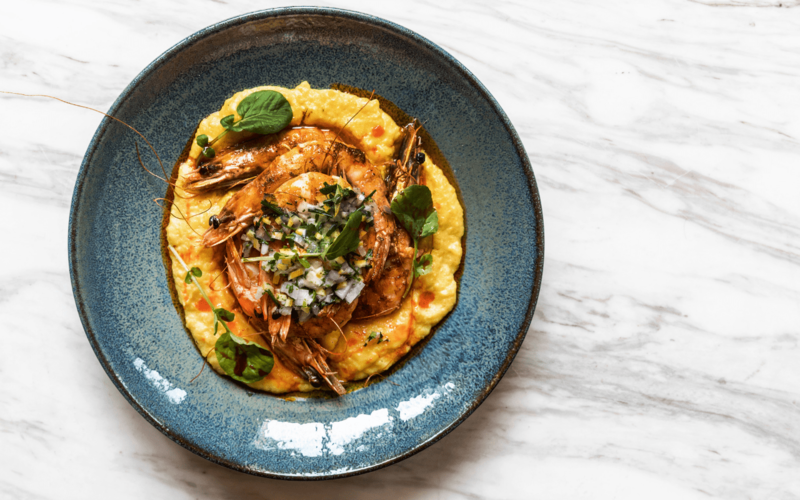 Before traveling to an attraction like the Houston Museum of Natural Science or to the heart of downtown Houston for birthday parties or bar crawling, make sure everyone has a bite to eat before the adventure begins. When you book a charter bus rental for your group, your private driver can take you and your friends anywhere on your itinerary, giving you the chance to enjoy your night and avoid any worries about getting home safe and sound. Ready to learn more about how National Charter Bus Houston can make your next group adventure even better? Call their team 24 hours a day, seven days a week at (713) 234-6591!